Description. A two part project. The group stage looked to the future of a chosen brand (not endorsed by National Geographic) in 2030 and analyse how it will operate through the rigorous dissection of the current brand as well as the social, economic, political, technological and environmental trends that will affect it and create a detailed brand report (check out the full report here) before proposing a considered 'Brand Repositioning Proposal'. The second portion of the project was the individual design and development of a product to fit within the repositioning. Carefully considering the brand identity as well as the technology and manufacturing capabilities of the time. My product was this, the PlantSpotter. Introduction. Mankind has traditionally enjoyed an intimate relationship with flora for food, culture, religion and medicine. Estimates state there are up to 100million species of plants, but we have discovered only a tiny percentage. Of those we only interact with a handful and outside of agriculture they are used for little more than living decoration. 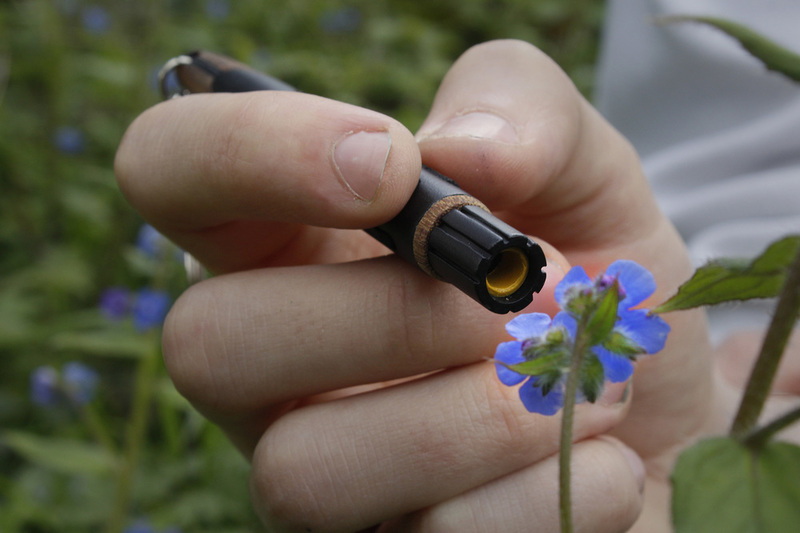 The PlantSpotter is a miniaturised raman spectroscope that acts as your key back into this world, using National Geographic's explorer communities to encourage users to go out and find new plants as well as provided the ultimate gardening tool to look after plants with real time health information. A short trailer by National Geographic for their feature on unseen worlds. This initiative was one of the many starting points of the re-exploration movement proposed within this project. Existing beliefs that information found in print can be sourced for free online increase as users seek more responsive, dynamic content. 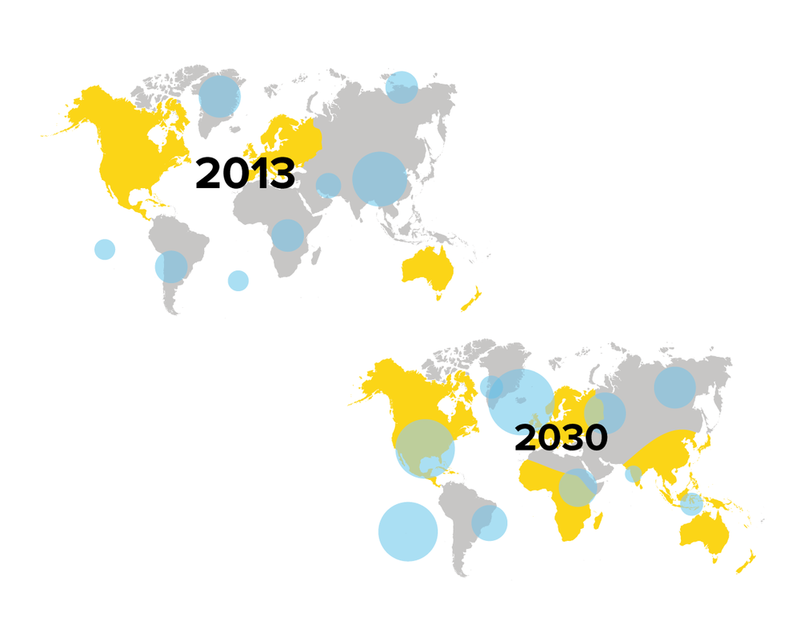 A predicted boom in the number of middle class in Asia lead to National Geographic's traditional content sources and readership to overlap. The trend of increasing personal technology is set to continue sweeping across Africa and Asia. Depression is estimated to be the most prevalent disease. However, education has been marked as best method to combat rising levels. 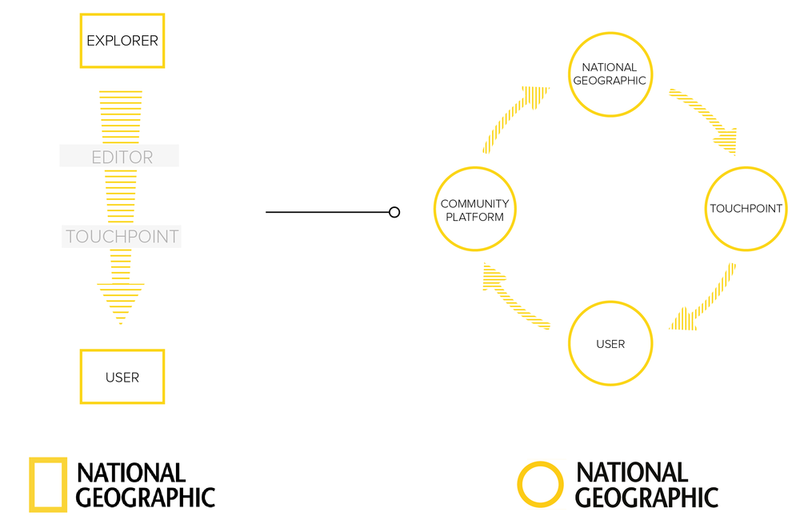 National Geographic currently employs a highly linear information flow, from explorers in remote regions create content which flows through to and editor and eventually down to followers through a range of mostly static touchpoints. To adapt to changing conditions, it is recommended that National Geographic move to provide readers with a range of tools to become explorers in their own worlds, feeding data directly back to a community base which in turn is used to create relevant real time content. Capturing a brands identity within the aesthetic form of a product required the use of numerous sketchbooks to develop a signature design that reflects the National Geographic's brand values in both style and form. Developing from early worn pebble shapes to delicate pens, through medical syringes to arrive at the perfect balance of the three identified qualities: Organic, Enduring & Intriguing. As a brand with little existing 3D presence, it was imperative to the project to break down what it means to be National Geographic and compose this style library to construct the guidelines for the design process. Once the technology skeleton and basic form guidelines were established, the project took to yellow foam mock ups in order to maintain the strong physical connection with the make up of the PlantSpotter. What looked good and what felt right. Later more complex forms and details were trialled through 3D printing before the CMF was established (Natural Teak, Satin Technical Ceramics). Finally a perfect looks like model was carefully crafted by hand within the university workshops from teak, glass and high density foam. Wear with pride. Natural teak has been used for a large portion of the product to allow it to age with dignity, showing with pride the wear and tear of field use in the name of exploration. Seamless control. The PlantSpotters slightly recessed capacitive touch screen allows users to swipe unlock before toggling the numerous connectivity and mode settings of the device. The only push button initiates a data capture if pressed, and powers down the device if held. A companion, not extra luggage. 153 'pocket dumps' were analysed to find what shapes people keep in their pockets. The PlantSpotter has been designed so that you Re-explorers can keep it on you at all times with no hassle! Keep your PlantSpotter close by! See a plant you like? Scan it! Raman spectroscopy is used to identify what the species is. After data is passed through the analysis engine you have access to a plethora of data about that plant. Want to look after your plants and know how well they are getting along? Give them a quick scan! The PlantSpotter analyses the chemical composition of your plant and feeds back to you that plants current health and needs. Armed with this information you can look after you plant actively. Now you can own any plant you wish, limited only by what you can find!